Open Cloot's door and it's quite revealing. Clutter, clutter right up to the ceiling. If he hadn't a roof it would rise to the sky. Will Cloot part with some? He doesn’t see why! 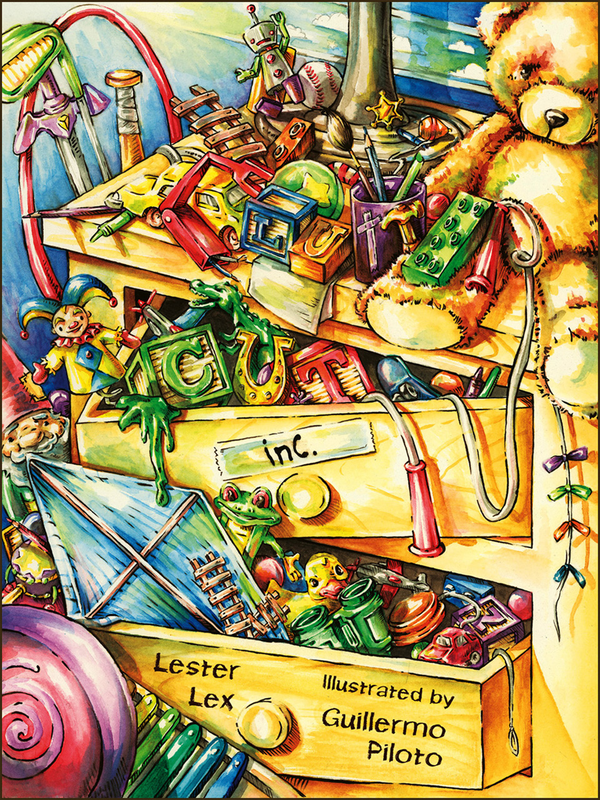 One day Cloot’s dad peers into his room to see a mountain of unused toys. Together they form Clutter Cut, Inc. and get a box ready to be filled. Cloot spends hours in a jam though—which toys will go and which ones will stay. There’s nothing great about giving toys away—or is there...?